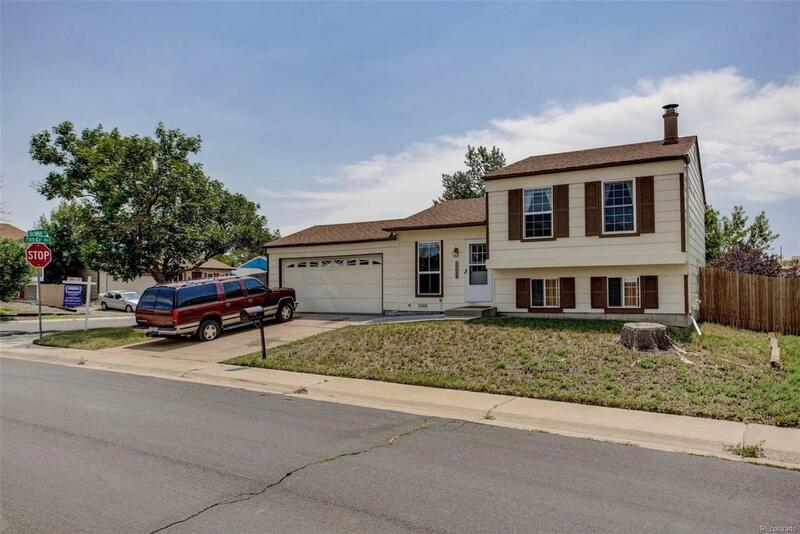 This home sits on a corner lot with 4 bedrooms, 2 baths and a 2 car garage. The main level includes a living room & the kitchen. The kitchen has been remodeled with hickory cabinets, stainless steel appliances and wood laminate floors. All appliances are included along with the washer & dryer. The upper level has an oversized master bedroom, 2 secondary bedrooms & a full bath. The lower level features the family room with a gas-log fireplace, the laundry area, bath & a 4th bedroom currently set up as an office area with French doors & a wall of book shelves. This neighborhood has 2 large parks; Triangle Park & Terrance Park. It is also close to the large Aurora Soccer Complex. Dont miss out. Set your showing today.